Your prayers are our key to a fruitful ministry! TO OUR PRAYER PARTNERS.... Thank you so much for viewing this page on our website. We sent it to you, so that you can pray for us and be aware of how God is blessing our efforts in Iba. If you would like to have us come to present our work to your church, please don't hesitate to reply to this e-mail. We are excited about what God is doing, and are eager to challange your people for missions. 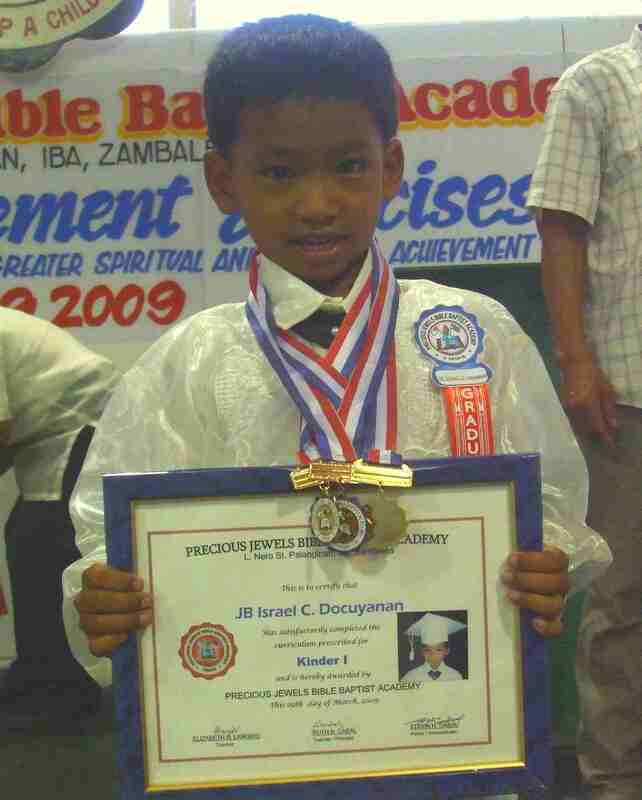 VBS high of 51 attend VBS awarding. Three mothers exposed to the gospel for the first time. Twenty Young People challenged with the Gospel, six of them got saved. Four adults accept Christ in powerful Father's Day Service. High School and Elementary values education teaching, reopened. Sixty visitors in last two months. 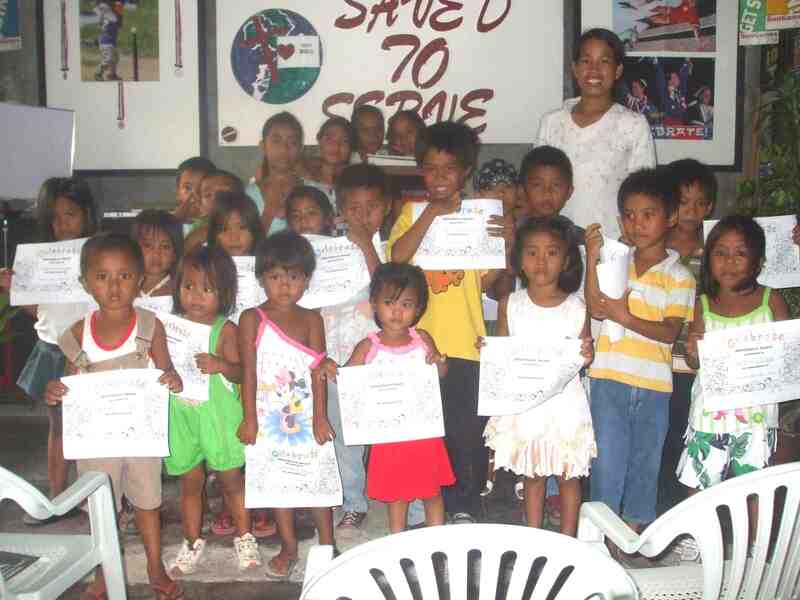 Two Young people (Julie Ann and Rovelyn) surrendered to serve in VBS. Two follow the Lord in believer's baptism. Please pray that God would provide us with an amplifier and mic so that we can use the speakers He also had provided, and also for a more permanent meeting place for our mission and home. Pray for our Movie month this coming July. Lastly, please pray for new Bible studies, the spiritual growth of our members, and for our good health. We thank God for all of you who are not tired of helping us here in Iba. In the beginning of 2009, 16 persons got saved for the month of January. They are all open for Bible study. Some of them visited already the mission house and joined in our morning Sunday worship service. But Nanay Consolacion Sudweste is the only one faithfully attending among them. Glory to God for the 5 persons who got baptized, but again, only two of them are faithfully attending our services. Pray for the spiritual growth of our new members Cristy (27),Julie (25), Ann Payumo (13), Aljon (13) , Jr Almondia (15) and Jayson Pamoleras (15). We also started three added Bible studies and would appreciate your prayers for the spiritual growth of TaTay Marcelino Manalo and wife; Sharon and Susan Fortin and Nanay Consolacion Sudweste. On February 18th, we will have a Famlly and Friends Fellowship. We are going to have pack lunch after Sun. worship then have fellowship and games with members and visitors at afternoon. Our purpose is to share the gospel with visitors and to acquaint them with our mission. Thanks be to God for the seventeen souls who made a profession in March and April. We are praying for their continued growth through our follow-up and discipleship, and that they will open their homes for needed Bible study. Glory to God for Sis. Myra de Guia (33), Tatay Francisco Tapec (83) and Sis. Virginia Antonio (63) for adding them to our church family here. They were baptized last March 15 after our AM worship service. Thanks for consistently praying for us! What a wonderful backyard Vacation Bible School we had last May 14-15. 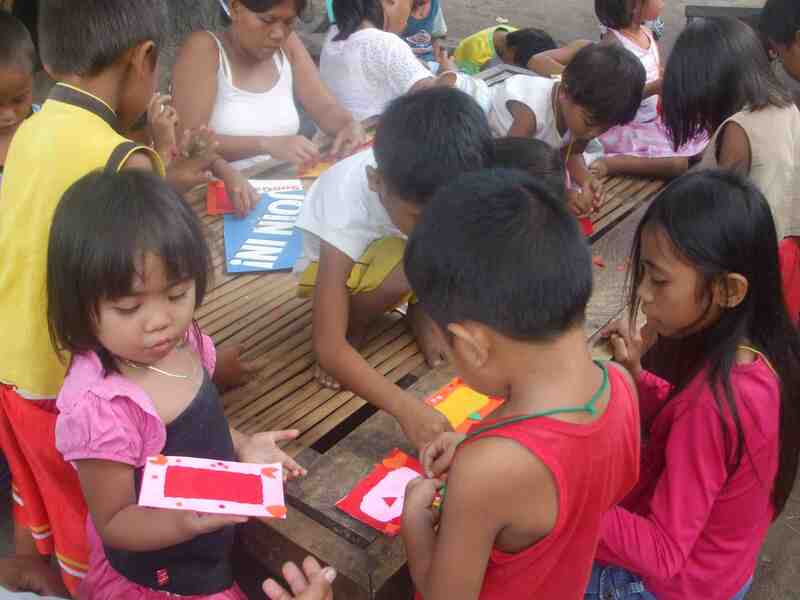 Wherein 31 children in Dampay, Amungan and 16 children in Bangantalinga participated. With the help of our two young people, Rovelyn Noe and Julie Ann Payumo, joined by their friends, Charlinet and Neriza, we enjoyed teaching the children with Pauls Adventure, doing crafts, playing the games and eating the snacks we prepared for, them. It was enjoyable to see the parents of the children in Dampay, happily helping their kids doing their activities. 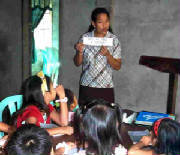 We had a great fun and excitement in conducting our VBS. Thanks be to God Who gave us the victory through our Lord Jesus Christ. Our closing ceremony was held May 17th, 3 PM Sunday. Glory to God with the 5 parent visitors who accepted Christ as their Lord and Savior. Last June 12, Sunbeam BBC, Fellowship BBC and our Mission conducted YP Evangelistic Sportfest at Highlands Camp! WHY CHURCH PLANT IN IBA? Iba is located on Luzon. As the largest island in the Philippines, it is home to an estimated 40 million people. Iba is located in the Zambales Province, which is the second largest province in Central Luzon. In Iba, 11 of it's 14 Barangays, still remain without any Independent Baptist Church, with approximately 30,000 of it's citizens still unreached. 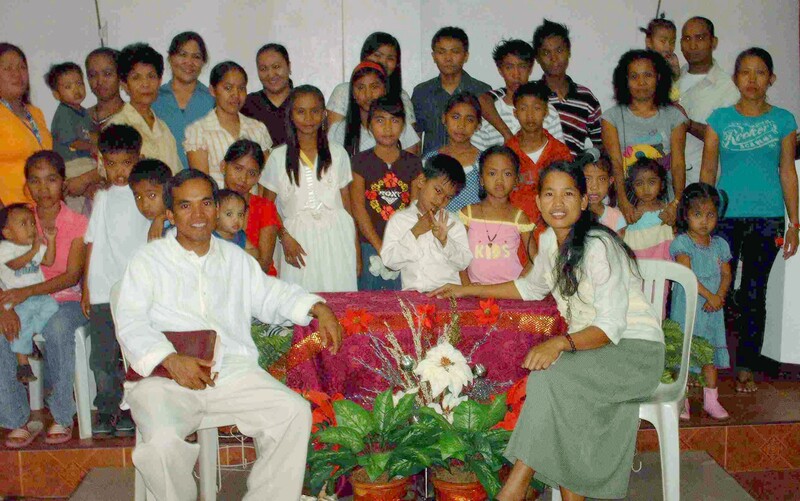 Iba, as the capital municipality of Zambales, is also the seat of the Bishop of the Roman Catholic Diocese of Iba, and is further saturated with several cults. For every mission or church that was started in Iba, are many more who failed due to hardship, religious opposition, indifference, materialism, or tourism. ADVERTISEMENTS: While Tripod's Google advertisements help pay for this free Website construction and publishing, they were not generated by us and therefore may not have our doctrinal endorsement. Please use your own discretion if patronizing these links.